Many businesses hand over control of their WordPress development to their most tech-savvy employees or as the owner you try to tackle the project yourself, you end making a few mistakes. Without prior experience of web development, it’s a struggle for most people to complete, not to mention time-consuming. What seemed like a good idea to start with ends up costing the business more in a multitude of ways. To avoid this, consider getting assistance from an expert. Digital Agency WECREATE Hong Kong has the crucial industry knowledge to safeguard businesses from a host of WordPress related problems. In many ways to a non-developer, the only real issue standing between your business and a future enhanced by WordPress is the setup. If businesses manage to create theirs alone, they feel a sense of achievement, up until the moment they encounter problems and realize they haven’t created a backup. Your WordPress build must be backed up in its entirety to function. In addition, the same goes for your database. There are a few different ways to create your backup and make sure it is fully saved and secured. Any sensible developer will usually backup all your files via the control panel and install a backup plugin on your site to ensure you’re protected going forward. When you initially start building your WordPress site, there’s an option to stop search engines from indexing it. This is especially useful when your site is not finished. However, many businesses forgot to turn this function on again. If a completed WordPress website isn’t indexed, very few people are going to be able to find it. Any further marketing and web design strategies are going to be ineffective without this. Not installing a WordPress SEO plugin by Yoast to help your business monitor performance and make adjustments means missing out on visitors and connections right off the bat. WordPress SEO-related knowledge will ensure your site continues to grow. It is one of the best tools available when utilized correctly so get WordPress web development Hong Kong experts to assist you. If businesses aren’t educated in web development they fail to take WordPress security seriously, with it being a global host what could possibly go wrong? An unprotected WordPress can still be hacked. Getting in the pros to install and monitor suspicious activity and block blacklisted IP’s is the way to go. It’s necessary for businesses to regularly update their site, peace of mind WordPress web development Hong Kong companies make additions such as a 2-factor login to guard against high-level hacks. While this is linked to the SEO side of a business’ WordPress not taking analytics seriously is one of the biggest mistakes a business can make. Hooking your site up to Google Analytics gives businesses some very valuable data which will help you make smarter decisions and dictate how business should progress online. Performance stats and visitor info are clearly visible, without these you’re playing risk every time you make WordPress alteration – this is an asset that’s going to work for the long-haul. Most businesses know to create a contact page, but many underestimate the importance of it. It’s pretty common to see just an email listed here and nothing more. There are two problems with this, will this inspire people to get in touch and they’ve opened themselves up to receive a crazy amount of spam. To stop this and give all visitors a clear and easy way to contact you, a contact form needs to be installed. All WordPress enthusiasts know the benefit of having the form weed out the spam bots from the genuine folk. 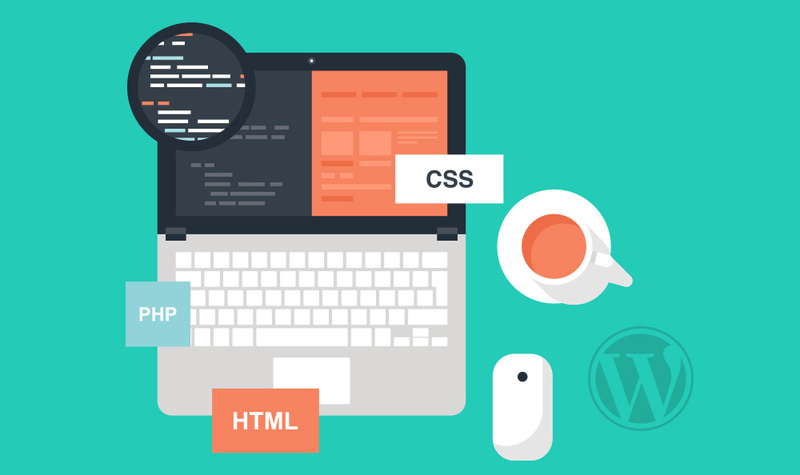 With so many different form options to choose from, seek guidance from WordPress web development Hong Kong providers to see what they recommend for your business. WordPress can be tricky to grasp and installation is certainly by no means the end of the road, but with the right maintenance and support your website can run on the most user-friendly and widely integrated host operating today mistake and hassle free. just don’t be afraid to ask for help! Give our friendly team of WordPress experts a call today at+852 2555 7220 or send us a message to explore all the possibilities.